Effective replacement of the system "Warm floor"
Agriculture is a perspective industry, the development of which has a positive effect not only on the economy of a country as a whole, but also on the quality of life of an individual person. First of all, in today's market, the production technology of the product is as important as its' properties. Thus, in the world so-called "eco-friendly" products are gaining popularity, which are so popular because of their natural origin without the addition of chemicals while cultivation. People are looking for these requirements in both plants and meat. Production of meat requires obligatory qualified approach and certain skills in growing birds and animals, as well as follow-up actions connected with the processing and sale of the product. When buying meat, each of us wants it to be fresh, without any chemicals to prolong the expiry date. Of course, the production of organic products requires a special approach and is quite expensive. It should be clearly understood that the result will depend on the efforts you make, and this result can not be improved by adding artificial stimulants of growth to the food of animals since eating meat like that can have a negative impact on the health and well-being. One of the most important systems that must be equipped at the farm is the heating system. For quite a long time the traditional convective systems are not installed on the farms because they can not correspond to all of the features of such premises. Farms are usually large, almost not keeping the heat constructions with a concrete floor and high arches. This structure needs a powerful and energy-saving technology for heating the entire space in which there are animals and birds. Our company suggests using infrared heating for farms, which has been a priority for farmers around the world for a long time already. IR heaters have become an indispensable source of heat not only in homes but also at the workplace. 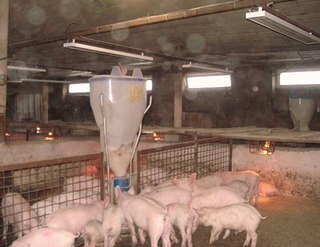 Their benefit to the agricultural industry is difficult to overestimate as well, since the infrared heating of farms provides a good, reliable and economical heating of all the necessary areas on farms. 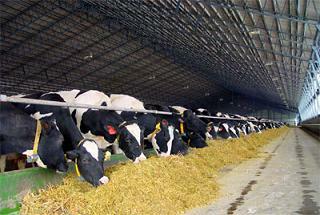 The equipment that provides this result can be installed in the separate sections or all around the farm. Usually the farms are heated with the gas IR heaters. Also you can use electric heaters, which, as experts say, are more secure. It should also be noted that the most beneficial effect on the organism have long-wave infrared heaters, because their emission spectrum derives from the heat that people emit. Infrared heating farms will effectively heat the main floor, walls, and they will in turn give off heat to the air. Infrared heating of farms will effectively heat the floor, walls, and they will give this heat off to the air. Thus, you will not have to wait until the warm air heats the objects, as it happens when we are using convective systems, and the animals will not flounder in small groups, trying to get warm. 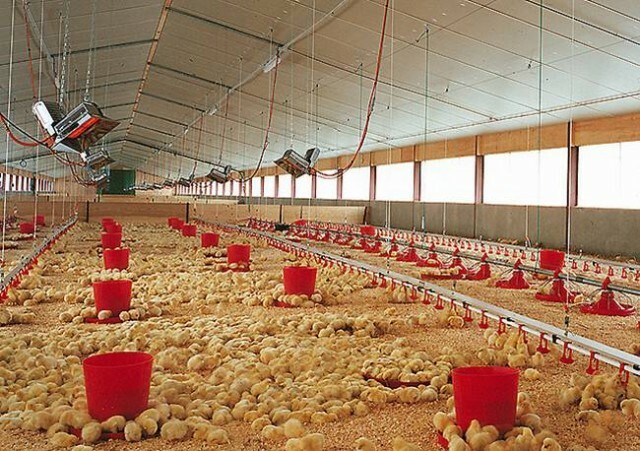 Our company is ready to provide any relevant and useful information for you on installing and using infrared heating for the piggeries, poultry farms, as well as on qualitative and quantitative indexes of infrared heaters of any type and capacity. We are sure that our production will help you to take care of your farm in any weather conditions.